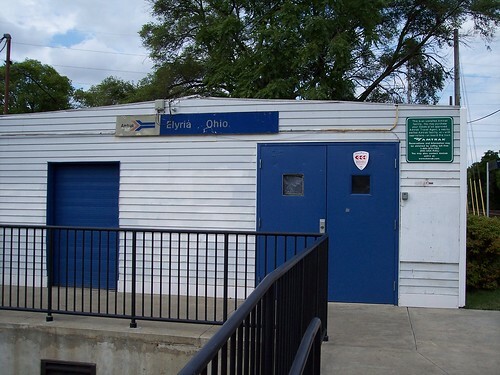 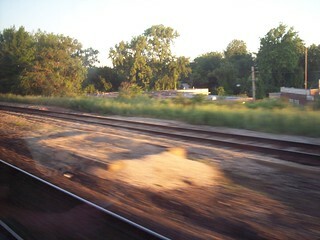 The current single platform station at Elyria. 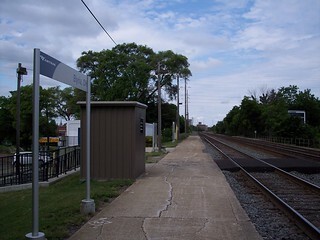 I think the "station building" was destroyed by fire sometime after I took these pictures. 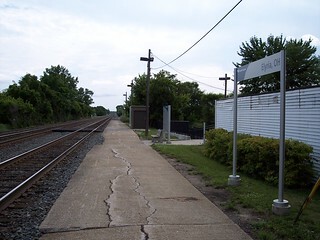 An earlier station was located a bit further west. 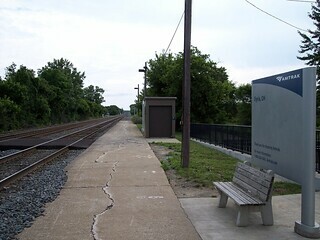 The remains of the stairs that once led from the platform to an underground passage can still be seen as we ride by the old station.